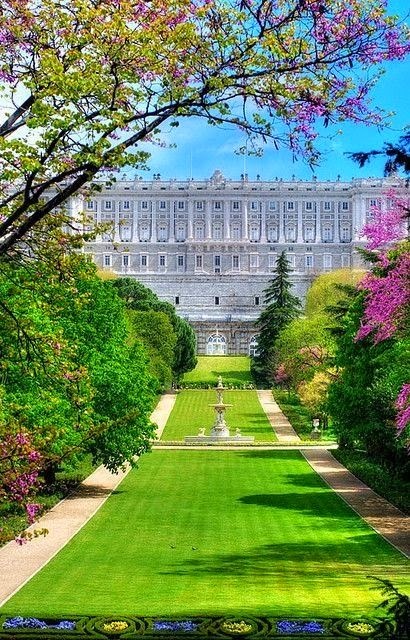 The Palacio Real de Madrid (literally: Royal Palace of Madrid) is the official residence of the Spanish Royal Family at the city of Madrid, but is only used for state ceremonies. King Felipe VI and the Royal Family do not reside in the palace, choosing instead the more modest Palacio de la Zarzuela on the outskirts of Madrid. The palace is owned by the Spanish State and administered by the Patrimonio Nacional, a public agency of the Ministry of the Presidency. The palace is located on Calle de Bailén (Bailén Street), in the Western part of downtown Madrid, East of the Manzanares River, and is accessible from the Ópera metro station. Several rooms in the palace are regularly open to the public except during state functions. An admission fee of €11 is required except for residents of the Iberian Peninsula. 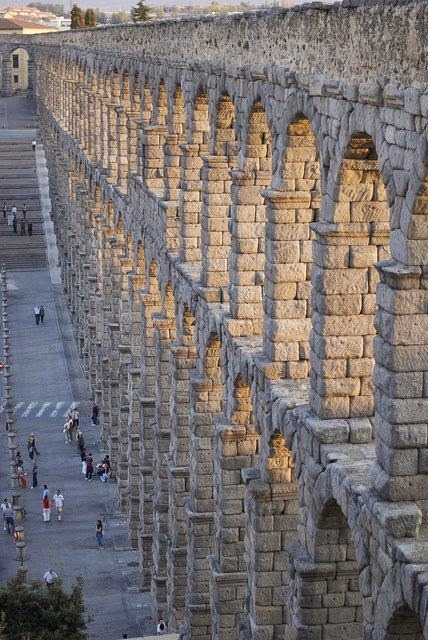 The Aqueduct of Segovia (or more precisely, the aqueduct bridge) is a Roman aqueduct and one of the most significant and best-preserved ancient monuments left on the Iberian Peninsula. It is located in Spain and is the foremost symbol of Segovia, as evidenced by its presence on the city's coat of arms. 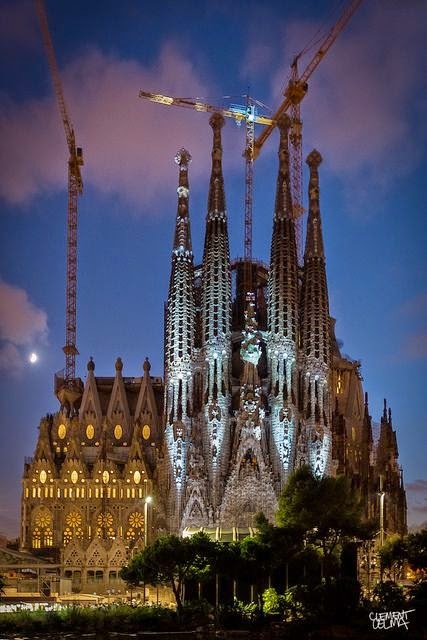 The Basílica i Temple Expiatori de la Sagrada Família (Catalan pronunciation: [səˈɣɾaðə fəˈmiɫiə]; English: Basilica and Expiatory Church of the Holy Family), is a large Roman Catholic church in Barcelona, Spain, designed by Catalan architect Antoni Gaudí (1852–1926). Although incomplete, the church is a UNESCO World Heritage Site, and in November 2010 Pope Benedict XVI consecrated and proclaimed it a minor basilica, as distinct from a cathedral which must be the seat of a bishop. 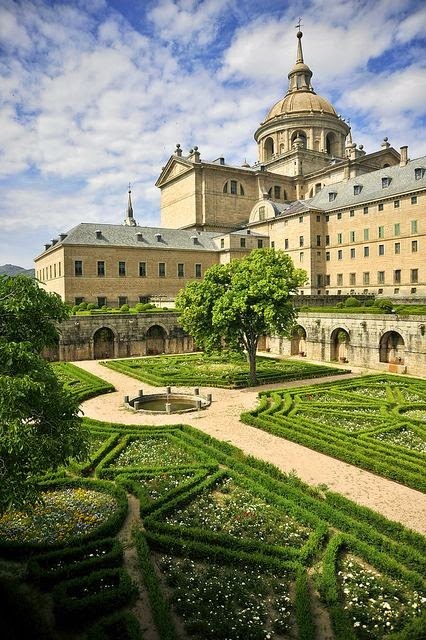 The Royal Site of San Lorenzo de El Escorial is a historical residence of the King of Spain, in the town of San Lorenzo de El Escorial, about 45 kilometres (28 mi) northwest of the capital, Madrid, in Spain. 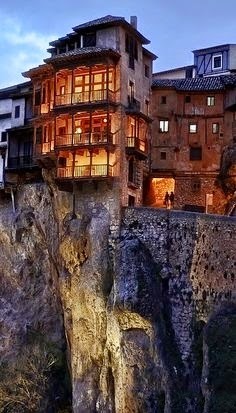 It is one of the Spanish royal sites and functions as a monastery, royal palace, museum, and school. There is another town, 2.06 km further down the valley (4.1 km road distance), called 'El Escorial'.